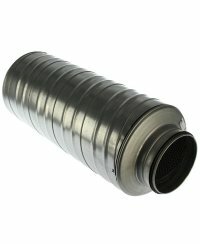 Duct silencers made from zinc coated sheet metal are made to minimize the noise level in air ducts and pipes. If the noise level requirements are high, it is possible to install two silencers behind each other. To ensure an effective noise reduction, it is necessary to install the silencers directly in front of and behind the ventilator.